In the digital era, people are accessible to all kinds of superior videos. For better keeping, you may want to hold various discs. Among them, Blu-ray Disc must be one of your favorite choices due to its high resolution video quality. Sometimes, you may have the need to keep one more copy of the Blu-ray Disc. Under the circumstances, you will need the help of Blu-ray copy software. 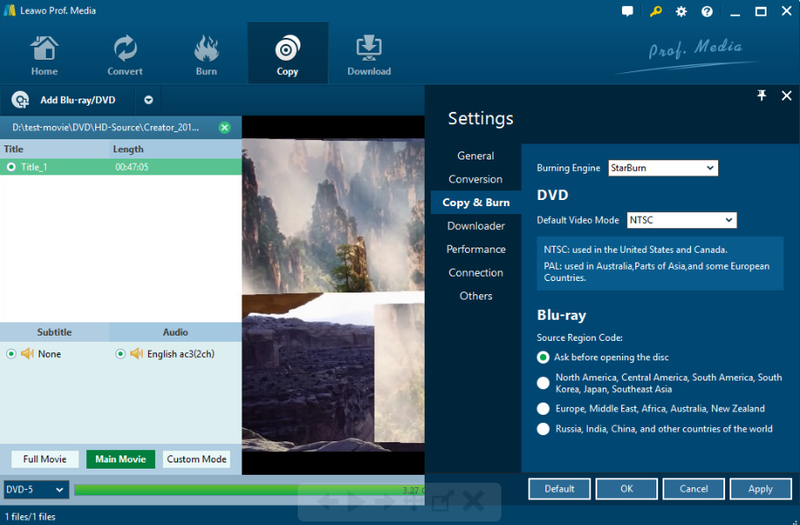 For some users, they may choose some free Blu-ray copy software instantly. But for some advanced users, they would like to spend more money to buy some paid Blu-ray copy software due to the more professional functions and all-in-one features. In order to give you more suggestions on choosing the proper Blu-ray copy software, I will list several Blu-ray copy freeware as well as a paid Blu-ray copy software for your reference. Blu-ray Master is a piece of free Blu-ray copy software to help you copy full Blu-ray Disc or just the main part of the movie. Its user-friendly interface makes the copying process more simple and it could provide users the fantastic Blu-ray video quality. But it lacks the customization of the output videos and it is limited to copy Blu-ray folder, ISO image file, copy DVD disc of DVD-9/DVD-5 etc. Aurora Blu-ray Copy is only free for Windows. This copy software has the basic Blu-ray copying functions. As one of the most famous Blu-ray copy software, Aurora supports all kinds of Blu-ray with high speed. But this software is only compatible with Windows system for free. And it doesn’t have so many user-oriented features. 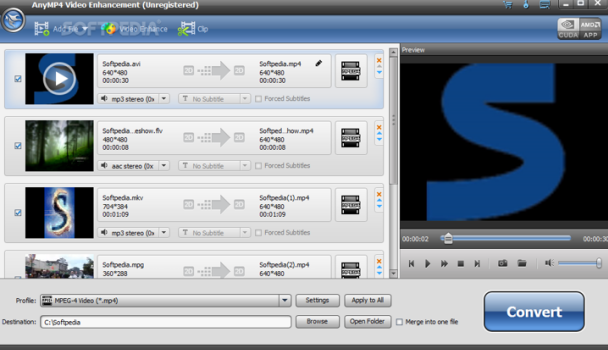 AnyMP4 can also meet your basic needs of copying Blu-ray Discs. For the beginner, it will be the best choice due to its simple handling process. But for further editing functions, you had better search for other programs. As one of the popular Blu-ray copy freeware in the market, BurnAware is focusing providing basic support of Blu-ray copying process. It could allow you to clone Blu-ray Disc to any forms of output video with high quality retained. But it can not shrink Blu-ray 50 to Blu-ray 25 or DVD5. According to the survey of Blu-ray Copy freeware above, I strongly suggest you to move your eyes from free Blu-ray copy software to paid Blu-ray copy software. Well, free Blu-ray copy software can help you to copy Blu-ray Disc, but it only has the basic functions. If your Blu-ray Disc has more advanced settings, for example CSS protection, you must need a more professional software. Here, Leawo Blu-ray Copy will be the best option. Even though Leawo Blu-ray copy is not free, you can obtain a trial version. Leawo Blu-ray Copy offers you the best solution to copy Blu-ray without quality loss. It could also allow you to 1:1 copy Blu-ray movies in forms of disc, folder and ISO in 6X faster speed. It can also copy Blu-ray disc in 1:1 disc to disc duplication with subtitles and audio tracks retained. With Leawo Blu-ray Copy, you will be able to make perfect 1:1 Blu-ray clone from the Blu-ray Disc to backup of DVD-9 and DVD-5 discs. For more detailed instructions, please go ahead to refer to the following. Step 3. Import the Blu-ray to the main interface of Leawo Blu-ray Copy. You can click Add Blu-ray/DVD button or just simply drag the Blu-ray file to the interface. Step 4. Set the Blu-ray settings. After loading, you will need to select video mode (Full Mode, Main Movie and Custom Mode), Subtitle and Audio Tracks at the bottom. Step 5. Start copying Blu-ray file to the blank disc. Before copying, you will need to set the “Copy to”, “Disc Label”, “Save to” parameters. Then click Copy button below to start. Leawo Blu-ray Copy would start to back up Blu-ray file and finally you will get a new Blu-ray Disc. With this Blu-ray copying program, you will be easy to get an high quality Blu-ray Disc in an easy and efficient way. What’s more, since USB drive is very popular now, you can even copy and burn ISO image file to USB drive with the same program and in easy steps. Therefore, if you prefer more professional features of Blu-ray copy software, Leawo Blu-ray Copy is right here for you. It is worth trying and it will give you the best copied Blu-ray Disc by using the trial version. Just go ahead to try it!